Althea Guiboche was at an all-time low. She was living on the streets with five of her children. One day, she fed two homeless men and experienced an emotional boost that changed her life. Althea Guiboche of Winnipeg has found her own surefire way to tap into what she describes as "euphoria." She says she accesses that feeling through the practice of kindness and helping others. Back in 2011, when major floods struck much of Manitoba, Guiboche was forced to leave her home. She found herself on the streets with five young children. Guiboche says she turned to local shelters and other aid agencies, but none of them gave her the help she needed. "I was just so devastated. I felt so depressed, suicidal. It was really hard to reconcile with the fact that it seemed like nobody cared about me and my small children, that we were homeless." Eventually she found a new home, but a feeling of despondency continued. She sought counseling and other means of psychological support, but nothing helped. One day, she was approached by two homeless men, asking for help. 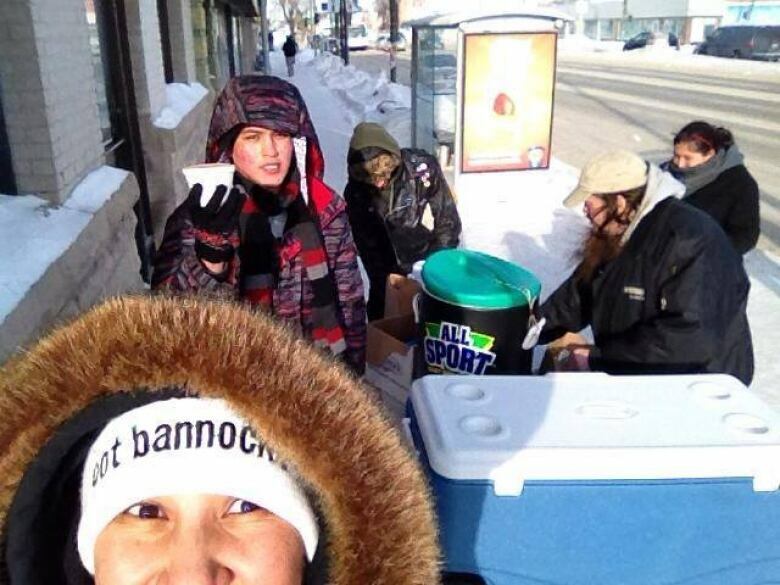 She happened to have a can of soup and some freshly-baked bannock. She gave the men the food along with some encouraging words. Something about the exchange gave her an emotional boost. She decided she'd attempt to recreate the same feeling, this time by intentionally seeking out people who needed help. "The first day I went out actively feeding people, I had 19 servings of chili and fresh bannock. And people were like, 'oh, who do you work for,' and I was like, 'nobody...me...I work for you...I work for us!'" From there, Guiboche just kept going. She'd prepare meals and serve them on the streets on a weekly basis. Her self-prescribed treatment worked. "It really pulled me out of that shell, and really reconnected me. It gave me a purpose, gave me a drive, I had something to plan towards." She says the euphoric feeling would kick in every time, and that it would barely subside before she was already planning the next meal. She says it would come when she was interacting with the people she was feeding. "When you connect with somebody, like if you hug them or compliment them, say their name, kind of thing. It comes with that interaction." "It's almost like a tingling, all over your body, sometimes around the crown of your head." Guiboche's meals kept growing, feeding more and more people. 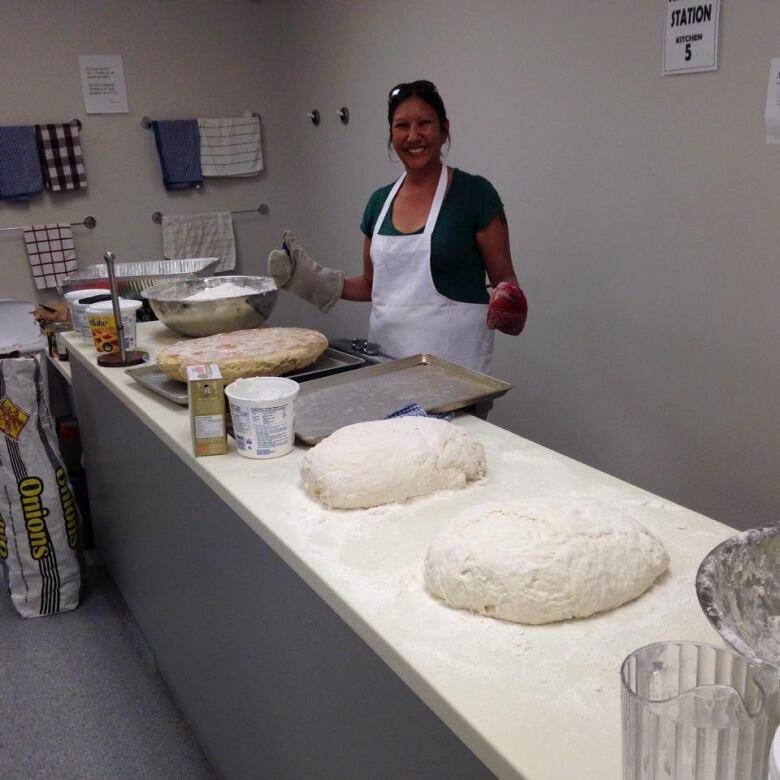 Today, Guiboche is known in Winnipeg as The Bannock Lady. Her meals are called 'Got Bannock', and she has an army of volunteers, including trained chefs, who help her feed 200 people once every two weeks. She says she still gets the feeling every time. For employment, Guiboche now works a manager with End Homelessness Winnipeg, an organization that also aims to support the city's homeless population. But she says she doesn't get the euphoria from her day job. She says that's because it's "systems level" work that doesn't include face-to-face interactions with the people she's helping. She says the mood boost comes when you reach out to someone who needs compassion. "Smile at someone. Give them a compliment. You know, that goes a long way. Ask a homeless person their name and use it. That's huge. Sometimes they never hear their own name. So just simple things like that. Do what you can with what you have. It's as easy as that. Just reaching out and talking to someone that you normally wouldn't talk to, with an open mind."